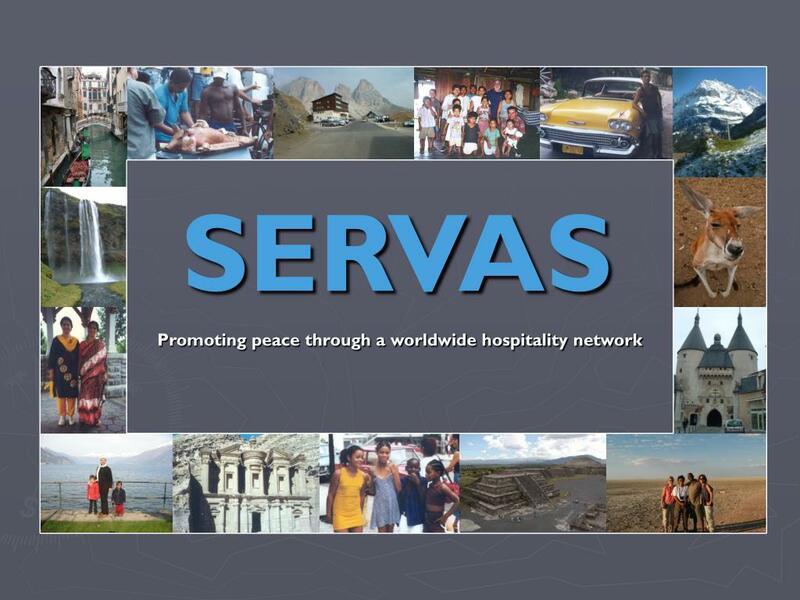 SERVAS Promoting peace through a worldwide hospitality network What is Servas about? 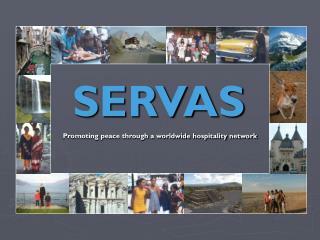 For more than 60 years Servas has been an International homestay network extending to approximately 130 countries worldwide. 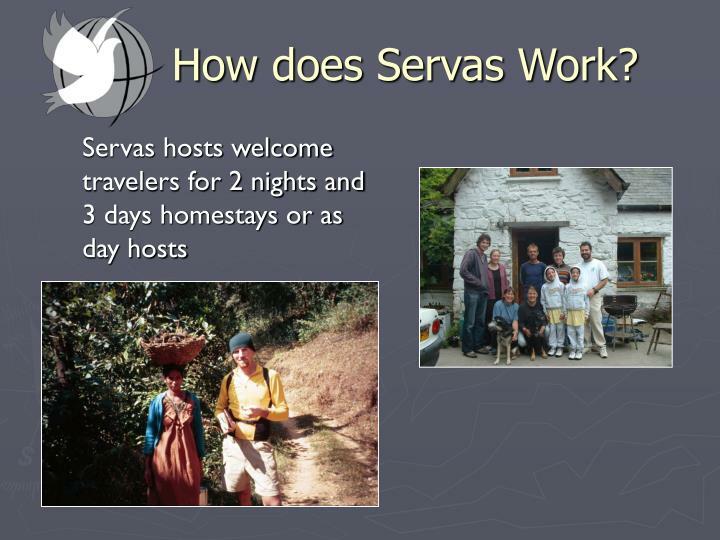 For more than 60 years Servas has been an International homestay network extending to approximately 130 countries worldwide. 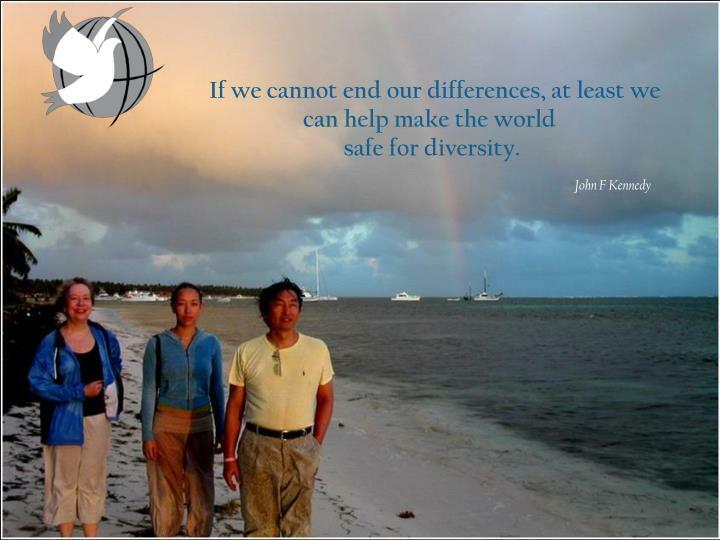 Through person-to-person contact between people of diverse cultures and backgrounds, friendships develop and this creates peace-links around the world. 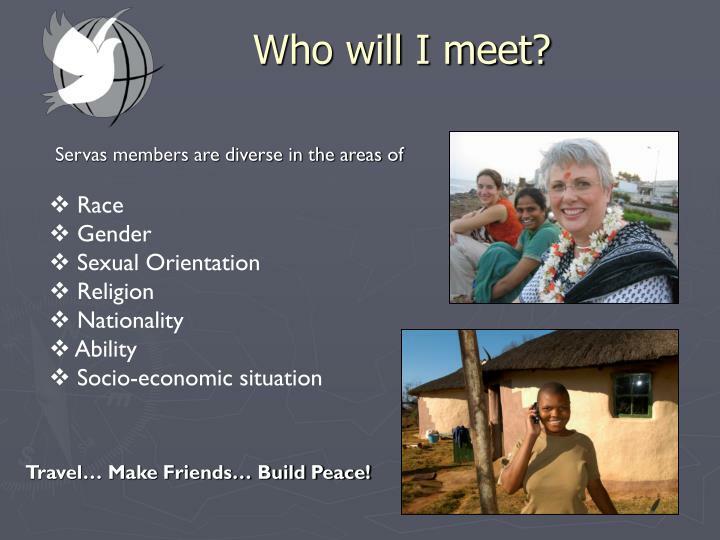 Travel… Make Friends… Build Peace! 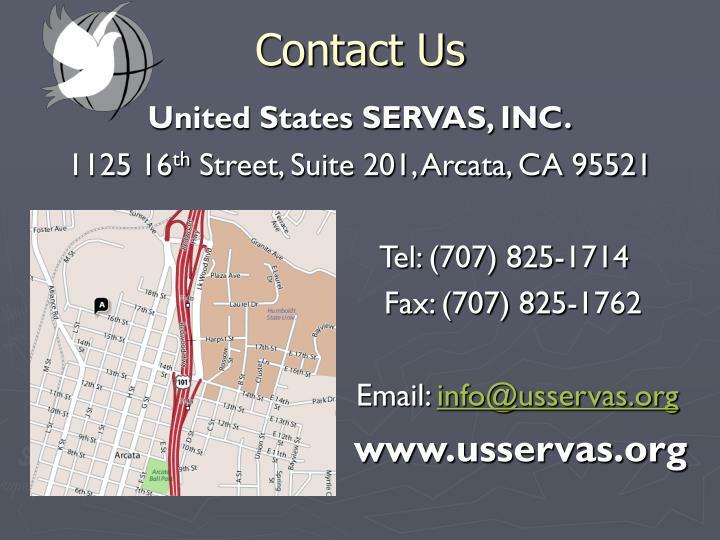 Why is Servas right for me? 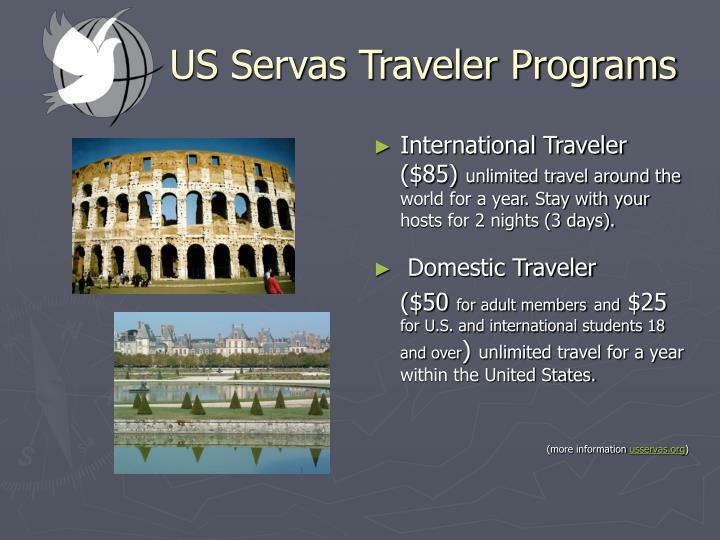 Affordable: Servas offers programs with different prices to choose from. No money is ever exchanged between host and traveler. 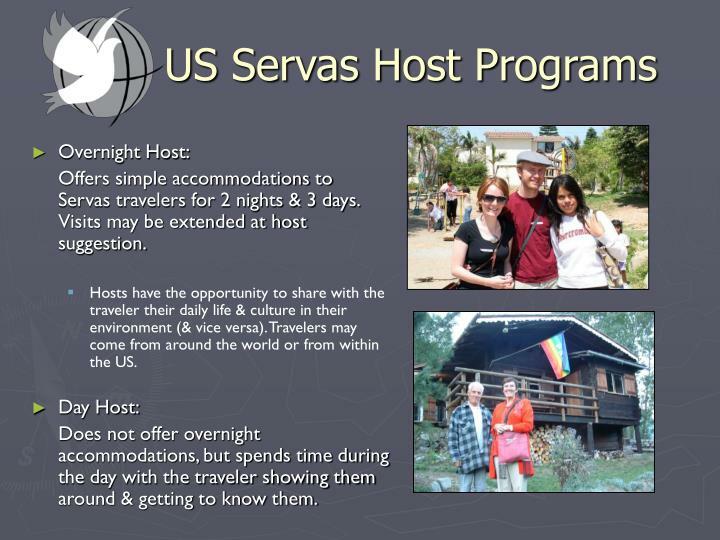 More Than A Tourist: Servas travelers can participate in the daily lives of their hosts. 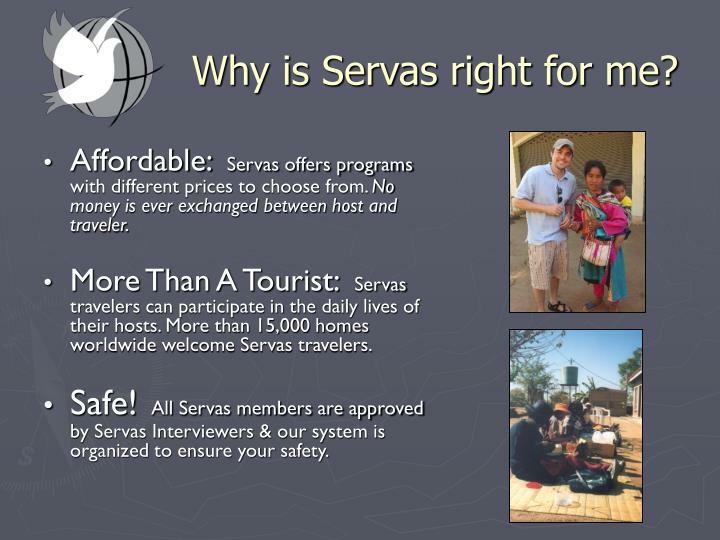 More than 15,000 homes worldwide welcome Servas travelers. Safe! 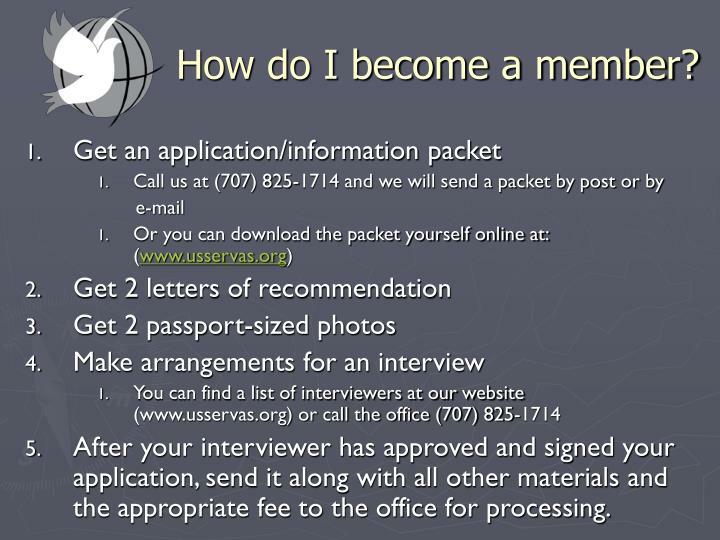 All Servas members are approved by Servas Interviewers & our system is organized to ensure your safety. International Traveler ($85) unlimited travel around the world for a year. Stay with your hosts for 2 nights (3 days). ($50 for adult membersand $25 for U.S. and international students 18 and over) unlimited travel for a year within the United States. Offers simple accommodations to Servas travelers for 2 nights & 3 days. Visits may be extended at host suggestion. 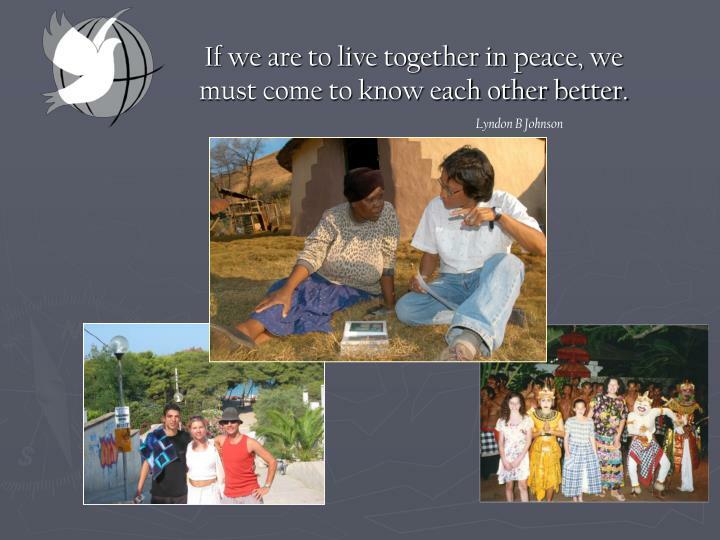 Hosts have the opportunity to share with the traveler their daily life & culture in their environment (& vice versa). Travelers may come from around the world or from within the US. Does not offer overnight accommodations, but spends time during the day with the traveler showing them around & getting to know them. 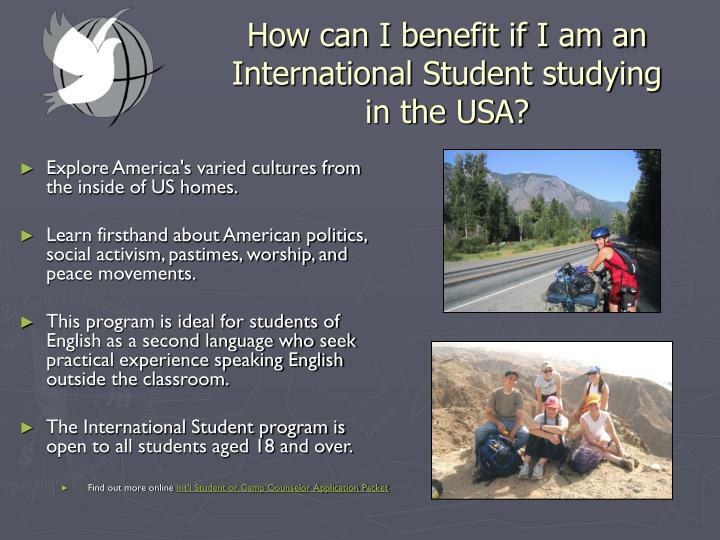 How can I benefit if I am an International Student studying in the USA? Explore America's varied cultures from the inside of US homes. Learn firsthand about American politics, social activism, pastimes, worship, and peace movements. This program is ideal for students of English as a second language who seek practical experience speaking English outside the classroom. The International Student program is open to all students aged 18 and over. After your interviewer has approved and signed your application, send it along with all other materials and the appropriate fee to the office for processing. 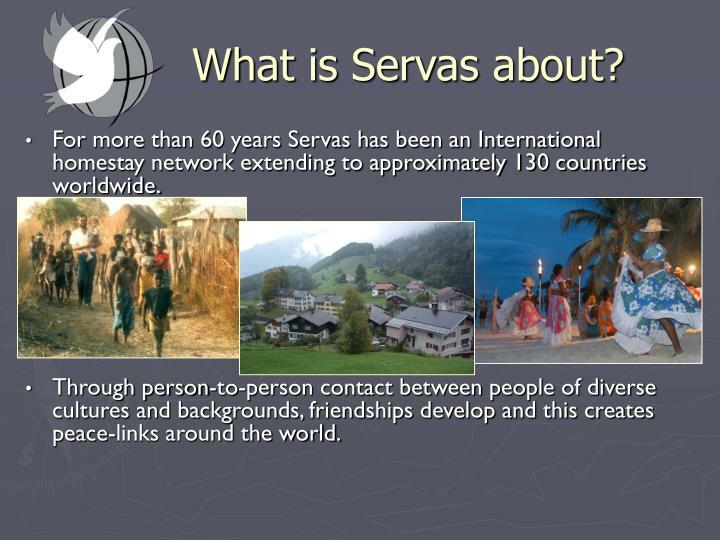 Servas is a special way of seeing the world – as a place where there are no strangers, only friends you have yet to meet.